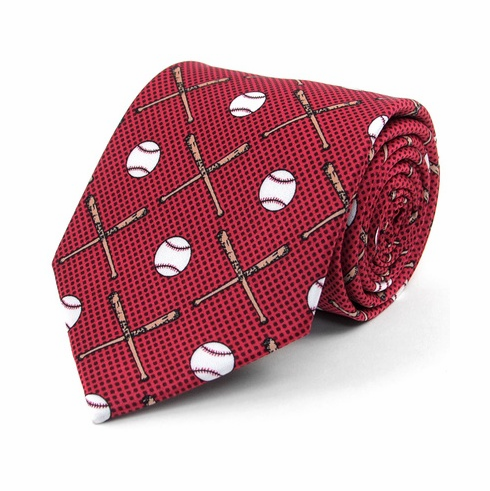 This polyester printed necktie features baseballs and bats on a burgundy/red background. Measures appx. 57" long, 3 1/4" wide. Everything Baseball also offers this design in youth regular, clip-on and zipper designs!